Ukrainian activist Volodymyr Balukh who has been on a hunger strike in the occupied Crimea, congratulated Ukrainians on the Day of the National Flag. The letter from the prisoner of the Kremlin was published by the Deputy Head of the Mejlis of the Crimean Tatar people Akhtem Chiygoz on his Facebook page. In his letter, the Ukrainian political prisoner expressed gratitude to all like-minded people. Balukh called it a matter of honor to cherish the historical memory of the Ukrainian people. "A huge price, ruined and crippled fates, millions of sons and daughters of our native land were paid to history for our right to have our own state, to develop it ..."
The Kremlin’s prisoner noted the importance of creating an autocephalous church in Ukraine and stressed that the church should serve the people, and not be an instrument of discord and ideological sabotage. It is worth noting that Volodymyr Balukh continues his hunger strike which now lasts 158 days. Previously, Balukh in his letter from the detention center stated that the Kremlin's power is based on propaganda and intimidation. 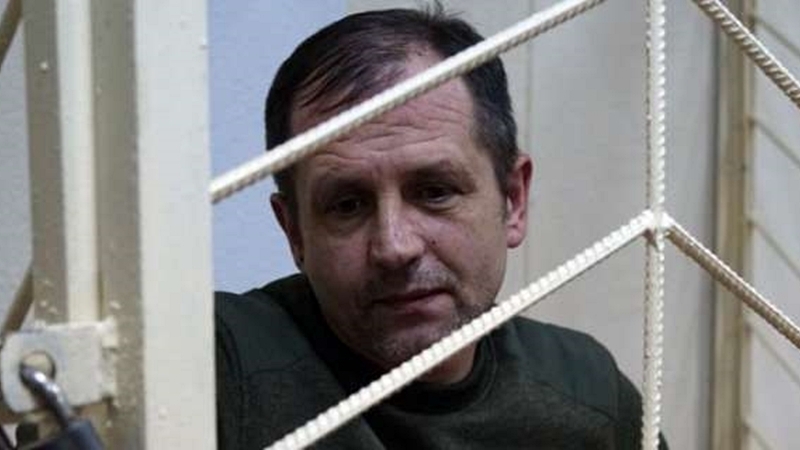 The Russian-controlled Razdolnensky District Court sentenced Volodymyr Balukh to 5 years in a general-regime colony and fined 10,000 rubles (about 4,000 hryvnia).